President Trump is hiring , a former U.S. attorney, to be part of his legal team representing him in the Russia probe being led by special counsel Robert Mueller, CBS News chief White House correspondent Major Garrett reported Monday. Trump attorney Jay Sekulow announced the addition of diGenova to the team Monday afternoon. "I have worked with Joe for many years and have full confidence that he will be a great asset in our representation of the President," Sekulow said in a statement. According to sources familiar with this move, Garrett reports that John Dowd will remain on the Trump personal legal team but DiGenova was recruited and hired to limit Dowd's role. Over the weekend, Dowd called on on Deputy Attorney General Rod Rosenstein to "bring an end" to Mueller's Russia investigation. He had to clarify that he was speaking for himself and not for the president. 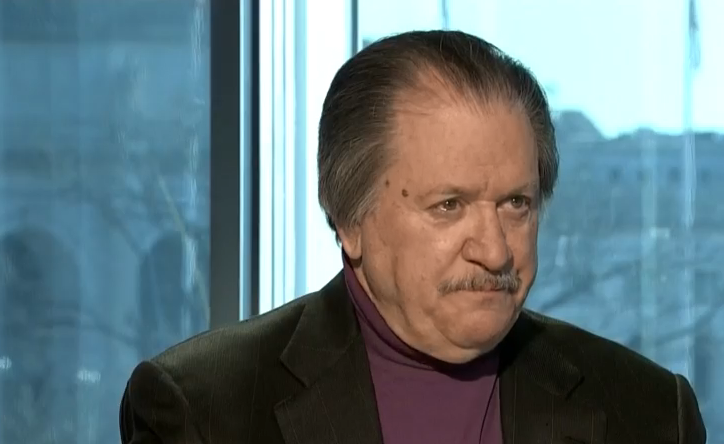 DiGenova is seen as devoted to Mr. Trump, fierce in his advocacy and more disciplined in terms of media dealings than Dowd, Garrett notes. In a radio interview that aired Monday, diGenova slammed FBI Director Christopher Wray, calling him an "embarrassment" over his handling of the firing of Deputy FBI Director Andrew McCabe. His firm, diGenova & Toensing, also represents Mark Corallo, the former spokesman for Mr. Trump's first personal attorney Marc Kasowitz. DiGenova's wife and law partner, Victoria Toensing, wrote a Fox op-ed in January urging the president not to agree to an interview with Mueller, arguing that the areas of interest to the special counsel, said to be the firing of National Security Adviser Michael Flynn and FBI Director James Comey, have nothing to do with the collusion with Russia in the presidential election.